Google will hold a press conference on October 5 unveiling both the Pixel 2 and Pixel XL 2 handsets, According to the famed and highly-accurate leaker, Evan Blas, The first generation Pixel phones were announced on October 6, 2016. Blass also says the Pixel devices will arrive with a Qualcomm's brand new Snapdragon 836 processor , we can expect the Snapdragon 836 to perform very similarly to the Snapdragon 835 that has been on most flagships this year. The Pixel 2 is said to come with a 4.97-inch 1080p OLED display and the Pixel XL 2 is expected to come with a 5.99-inch Quad HD OLED display. 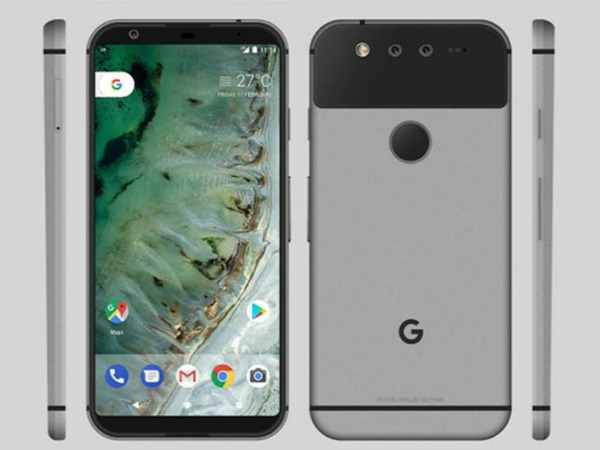 Rumors about the new Pixel started surfacing right after the launch of the first edition of the phone, The Pixel 2 and Pixel XL 2 are expected to pack in at least 4GB of RAM, though it is possible that Google will include 6GB RAM on the inside, dual front-facing speakers, an always-on display.